Napping During the Day Can Benefit Children’s Vocabulary. Taking naps during the day allows kids to memorize abstract information. Children less than a year-and a half old organize the structure of language and other information supplied by their everyday environment during nap time. Regular naps at a young age are no waste of time claims psychologist Dr. Almut Hupbach, co-author of research conducted at the University of Arizona in Tucson. Children who take naps soon after learning are able to better grasp the essence of language structure. In the first phase of the study researchers visited the homes of 24 healthy 15 month old babies. The experimenter played a 15-minute recording of a woman reading sentences in an artificially created, non-existent language while interacting with the infant. The recording contained 48 sequences requiring the child to track sequential dependencies between first and third word in the three word sentences (e.g. Pel-wadim-jic, vot-kicey rud, pel-deecha-jic). All children were then put to bed 4 hours after the visit. The next day, parents brought the infants to the lab and sat them in front of two speakers that alternatively played familiar and new sequences. The children clearly remembered, listen attentively and responded more vigurosly to the structure of the entire sequence from an earlier session than at the single word of the new sequence. The second phase of the experiment also included 24 healthy 15 month old infants that listed to the same recording of the artificial language but did not fall asleep in the next 4 hours. Tested the next day the children showed no differences in behavior, regardless of weather the recording was already known to them, or completely new. 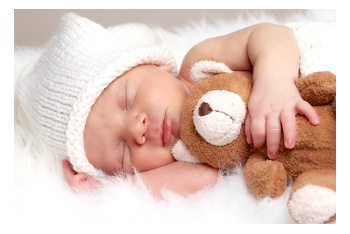 The team, which in addition to Dr. Hupbach included Professor Lynn Nadel, Dr. Rebbeca L. Gomez, and Dr. Richard R. Bootzin, concluded that sleep plays a beneficial role for a variety of cognitive functions during infancy. Taking naps contributes to the development of learning ability and memory in infants. Author aserokinPosted on October 3, 2011 Categories Benefits of Sleep, Links, Other Resources10 Comments on Napping During the Day Can Benefit Children’s Vocabulary.